Autowatch Ghost immobiliser is supplied and fitted by Cartronics. Cartronics can retrofit SLI (Speed Limit Information) into your BMW so you can maintain the legal speed limit with ease. This retrofit will display an image of the speed limit sign on your car's instrument cluster in front of the steering wheel. BMW Option Code 8TH. Fitted into any car, as per factory, by Cartronics. Cartronics can install PDC 100% the same as BMW factory install. Target Blu Eye is a great safety feature for you and everyone on the road. 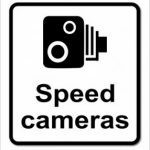 Accidents, near misses and road-rage captured for insurance or police use with discrete and professionally installed cameras.